The Celtics led by Kyrie Irving, coasted through this one at the TD Garden, handing the visiting Hawks an emphatic 129-108 loss. This was the eighth straight win for Boston as they now ride the longest winning streak in the NBA. The Hawks, on the other hand, have now lost seven out of their last 10 matchups and drop to a miserable 6-22 (second worst in the Eastern Conference) record. They are currently an insurmountable 15.5 games behind the East-leading Raptors. 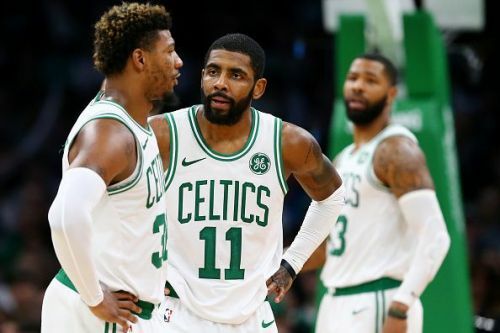 Boston sure doesn't look like the team now that dropped home games against the Orlando Magic and New York Knicks in the first six weeks of the season. They have had nearly four blowout wins in the past two weeks, including the 56-point beatdown of the lowly Chicago Bulls. The Celtics are steadily rising up the East leaderboard, currently sitting at the 4th spot below the Raptors, Bucks and Pacers, with an 18-10 win-loss record. 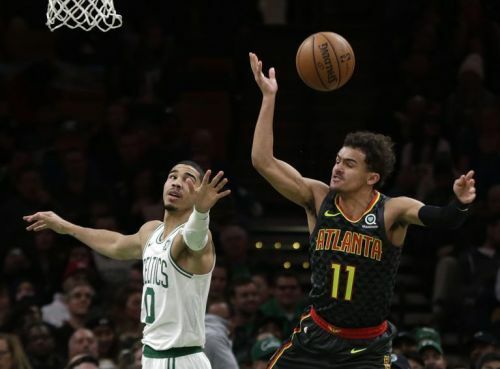 Let's draw some key takeaways from this dominating home win by the Celtics over the ordinary Hawks. Trae Young's three-point shooting hasn't exactly mesmerized lately, as it did to begin the season. His shooting percentage from the deep has dropped to an abysmal 23.7%, which is so unlike the fifth overall pick of this year's NBA draft. He is averaging an optimum 15.5 points per game in his rookie season but is struggling shooting from the floor, hosting an FG conversion rate of approximately 38%. For this game, in particular, he continued his dull shooting from the distance, attempting six three-pointers and making none. He could never draw contact enough to take him to the free-throw line and finished the game with a meager total of 9 points, 3 rebounds, and 3 assists. This was the second time in five games that he had scored just 9 points, the previous one coming against the Nuggets, another great defending team.